Sarbanand Farms has offered to pay for their flights back, but some workers worry that if they leave, they’ll be blacklisted — and the conditions they say they endured won’t change. 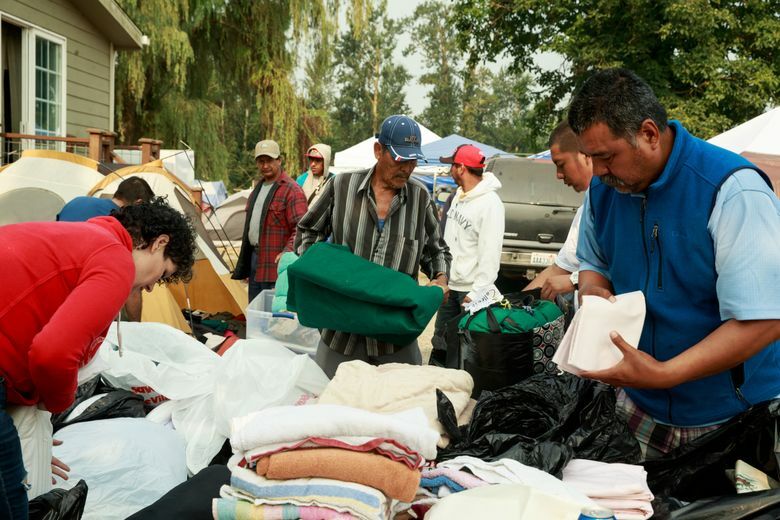 More than 70 Mexican men are living in Lucy and Joaquin Suarez’s small backyard in Sumas, Whatcom County. The workers have been there for a week, camped three or four to a tent, ringed by a wood pile and a small mountain of donated water bottles. So much food has been donated that the couple requested on Facebook that volunteers not bring food but freezers and fridges instead. By Thursday, donors had delivered several of the appliances, as well as generators to power them. Joaquin Suarez says not all his neighbors are as kind, however. On Monday evening, someone broke a window in a volunteer’s parked truck, apparently with a B.B. gun pellet. The homeowner next door asked Suarez to keep the campers off his property. 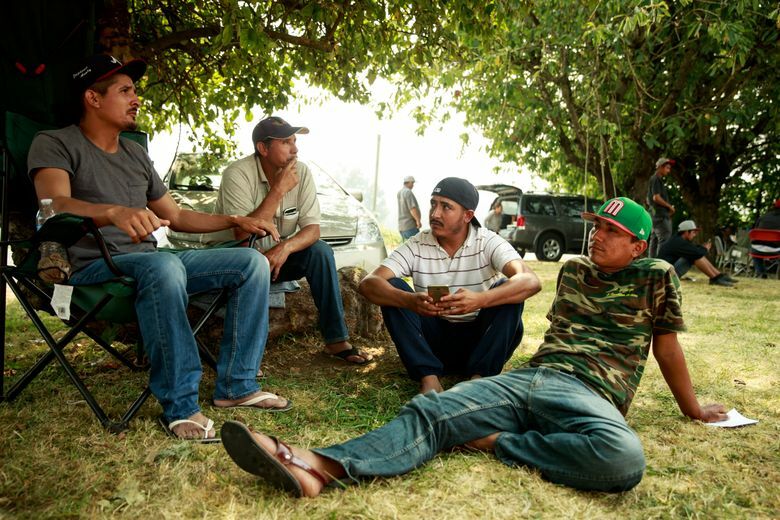 These workers, part of a 600-person crew brought from Mexico under the H-2A visa program to pick blueberries at Sarbanand Farms, are at the center of a controversy that erupted last weekend in this quiet farming community next to the Canadian border. When fellow worker Honesto Silva Ibarra was hospitalized, these men refused to work, protesting what they say are awful conditions on the farm. Ibarra died Aug. 6 at Harborview Medical Center in Seattle. Representatives of the farm and their supporters in the farming community say the workers were not mistreated. But the workers plan to camp here, a mile from where they were working a week ago, until they’re sure the whole incident won’t cause them future visa problems. On Thursday, many of the workers said they’d been issued their final paycheck. A spokesman for Sarbanand said the farm has already applied to U.S. Citizenship and Immigration Services to extend the workers’ visas and is working with immigration authorities to make sure they will remain eligible for employment in the future on the temporary agricultural worker visa. Joe Morrison, a lawyer representing the workers, says he’s glad to hear that, but it can be hard to make such promises stick once the laborers cross the border. The farm — which is owned by California-based Munger Farms — is now offering to pay the workers’ way home, but many say they’re reluctant to leave until all their concerns are addressed. And with the state Department of Labor and Industries investigating their allegations and media in the U.S. and Mexico now paying attention, their case could be helped if they stay. These workers came in May and planned to stay through October, but they soon grew upset with the conditions they say they endured. 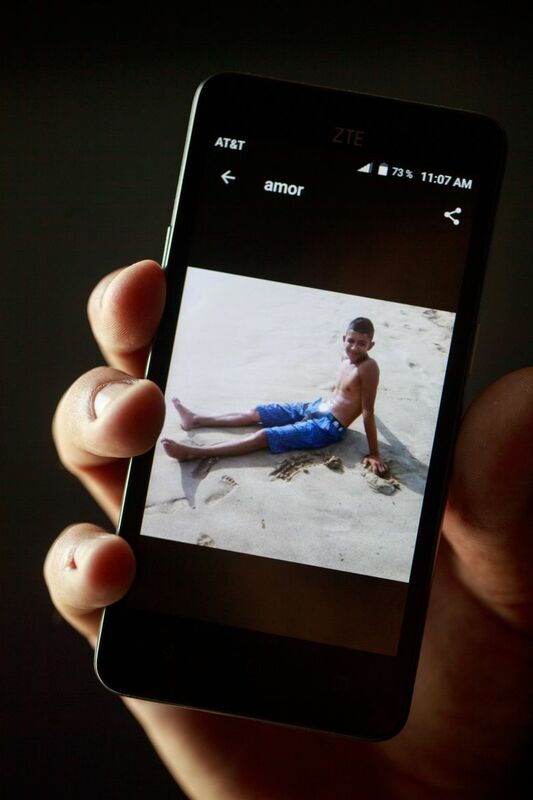 Alfredo Urbano Martínez, 20, from Michoacán, Mexico, said he worked from 6 a.m. until 7 or 8 p.m., in hot conditions. Sarbanand Farms paid $13.38 per hour, but the farm deducted $20 a week for water and $12 a day for food, workers say. They also say the food was often undercooked and in small portions. 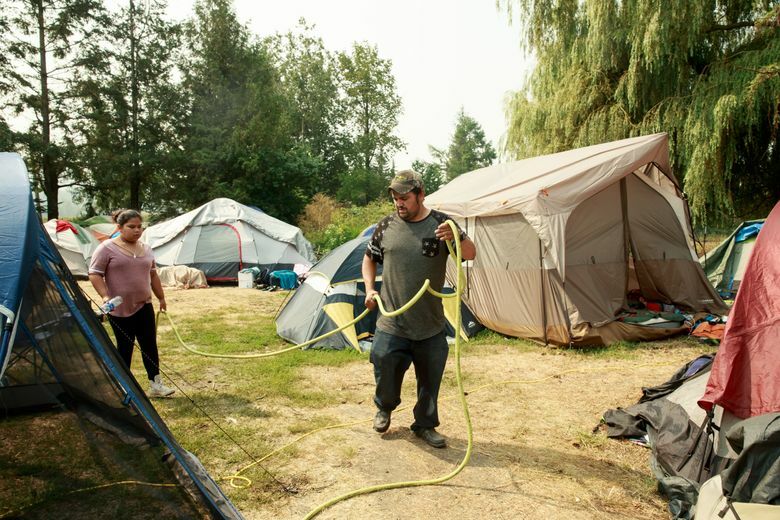 Several workers said the heat, coupled with smoke from B.C. wildfires, made working even harder in the weeks leading up to their protest. There was also a lack of water and it was sometimes dirty, they say. Martínez wore thin tennis shoes out in the fields, and his feet would get soaked. He said he was afraid to speak up, but when doctors finally saw his feet, they diagnosed a second-degree bacterial infection requiring painkillers. 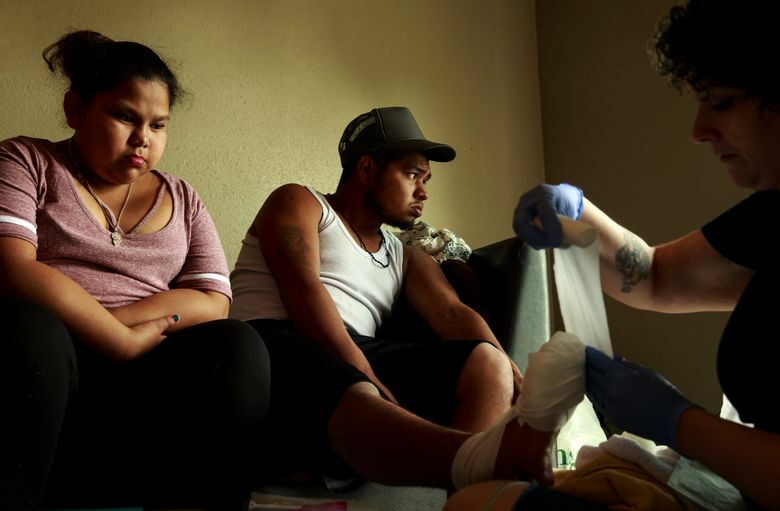 “They told me that if I hadn’t gone to get a checkup, they would have ended up cutting my toes off,” Martínez said. 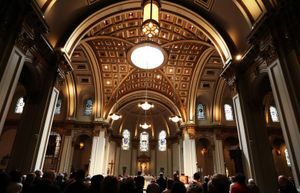 Ibarra, who died on Aug. 6, began complaining in early August of painful headaches, according to Lilian Córdoba, the Mexican consul for protection and legal affairs in Seattle, based on what she’d heard from workers. Ibarra had complained to his superiors, they say, but was told to go back to work. 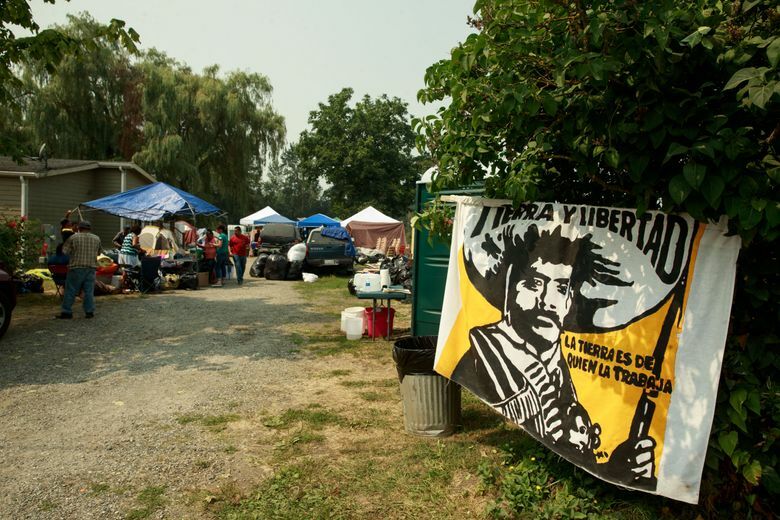 After he was hospitalized, about 65 workers — including Martínez — refused to come to work until they knew Ibarra would be all right and the farm owners agreed to provide on-site medical care, according to Edgar Franks, an organizer with Community to Community, a Bellingham advocacy group. 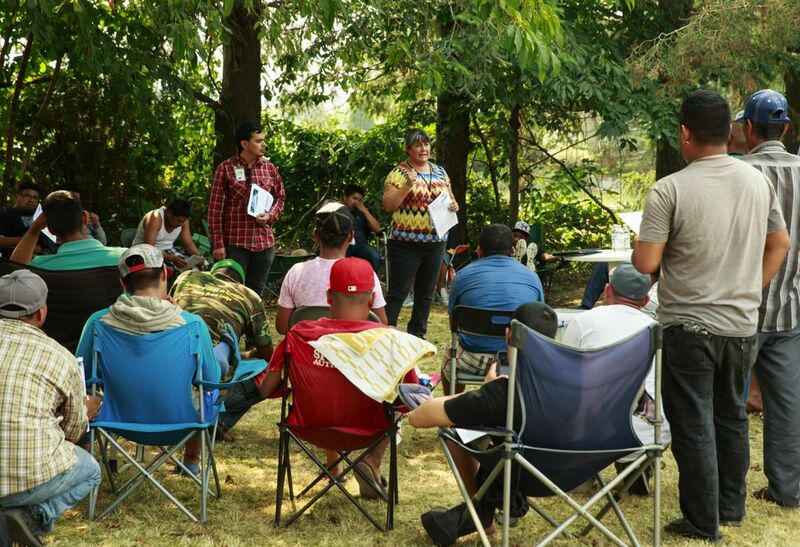 On Aug. 5, the farm owners took the protesting workers aside and handed them termination slips, noting they’d been fired for “insubordination,” according to the workers. Some of the workers contacted Joaquin Suarez, who invited them to his house. Organizers say five of the workers were hospitalized with dehydration and others had ear and throat infections. Some of them say parts of their faces are paralyzed because of dehydration. Sarbanand paints a different picture of conditions at the farm. Spokesman Cliff Woolley said that workdays were six to nine hours and the workers often asked for more hours. The smoke from the B.C. wildfires wasn’t a problem at ground level, he said. However, according to Seth Preston, communication manager for the Northwest Clean Air Agency, the air in that part of Whatcom County was generally in the “unhealthy for sensitive groups” range during those days. 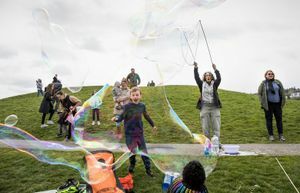 That means people with pre-existing heart and lung problems or asthma may have experienced breathing difficulties, but “every individual reacts differently to such conditions,” Preston said. Woolley denied the farm charged its workers for water, and he said the food came from a local catering company that’s never given other workers cause to complain. The farm won’t give the name of the company. Sarbanand Farms also said in a memo that the farm’s facilities have been inspected and approved by state agencies. The facilities include newly constructed living quarters designed to meet all regulatory standards, a soccer field, campwide Wi-Fi, satellite TVs, catered meals at low cost, and buses for shopping trips to town. Woolley said that the worker who died at Harborview came to the office complaining of headaches on Aug. 2 and that was the first time he’d said anything to management. An ambulance took him to a clinic and afterward to the Seattle hospital. The cause of death has not been released. The Suarez house was abuzz with volunteers coming in to pick up trash, cook and provide first aid; investigators from L&I and lawyers from Columbia Legal Services sitting on folding chairs and interviewing workers; reporters and photographers coming in and out; and staffers from the Mexican Consulate distributing stipends and visa advice. The workers’ situation has made them something of a cause célèbre in Spanish-language media: Univision is covering the story, Carmen Aristegui interviewed a worker on CNN en Español, and popular Mexican newspaper La Jornada wrote about the workers. On Tuesday afternoon, the workers and their supporters marched from their camp to the farm, protesting with signs saying “Sí SE puede” — “Yes we can.” More workers from the farm joined them when the march came by. Later, four of those returned to Sarbanand were given their jobs back, Woolley said. Joaquin Martinez, a volunteer who’s been helping the workers, said he received texts and calls from friends all over Mexico and the Mexican community in the U.S., asking if the workers needed help. Martinez is glad the workers have called attention to their situation. Woolley said the media coverage was misleading. Some in the local farming community have come out in support of the farm. “From all we have been able to determine, the farm is an exemplary operator and has done everything that could be asked of them in this situation,” said Gerald Baron, communications director for Whatcom Family Farmers, in an email. 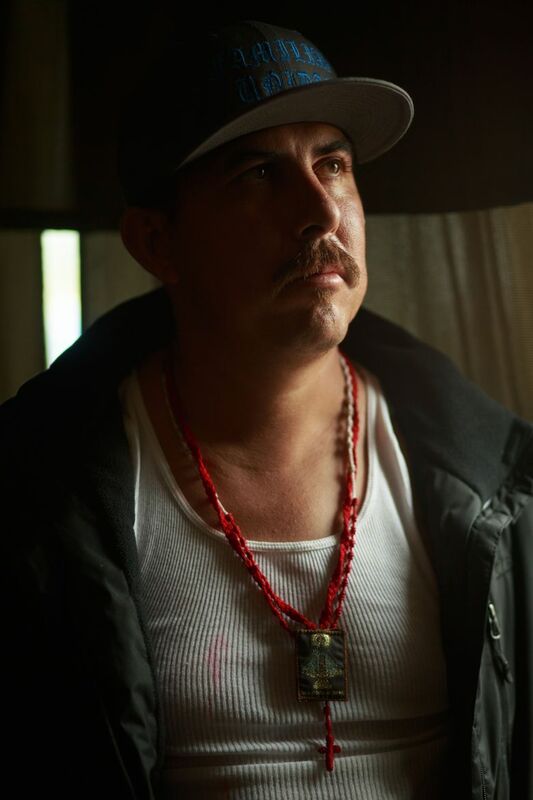 Baron said Ibarra’s death was seized on by activists with Community to Community and the independent farmworkers’ union Familias Unidas por la Justicia as a political opportunity. “It is just too bad that in pursuing their issue they have to do so much damage to the good name of hardworking farmers who do such a good job of providing opportunities and caring for their workers,” Baron wrote. Like the owners of Munger Farms, many of Whatcom County’s berry farmers are first- or second-generation Punjabi Indian immigrants. Satpal Sidhu, the Whatcom County Council member whose district includes Sumas, said he’s working to make sure nothing is blamed on them. 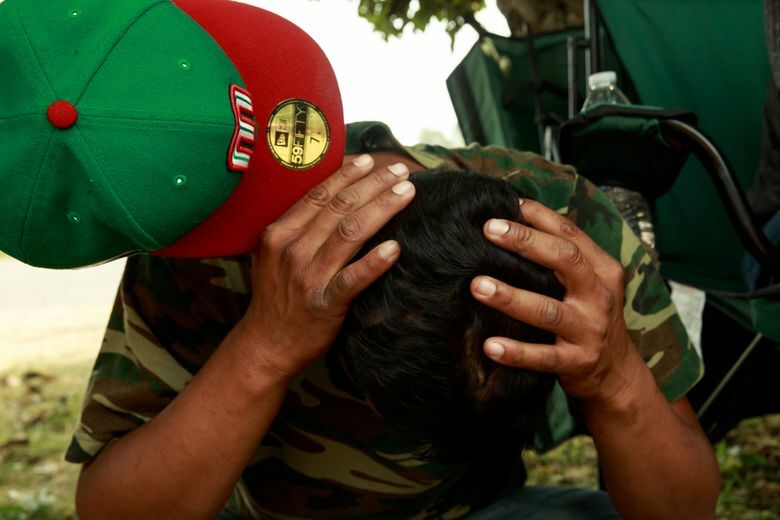 Many of the Mexican workers have families in Mexico depending on their financial support. Barbaro Rosas, 30, one of the workers’ leaders, said he supports his wife, a child, and his mother. Rosas has some savings from working in California before he came up to Washington for this job, but most of the workers don’t. The workers are also scared: Volunteers visiting the camp often bring rumors that Immigration and Customs Enforcement is preparing to raid them. This close to Canada, it’s not uncommon to see the Border Patrol. But the lawyers have been advising the workers that it’s up to them when they want to leave. While many want to, Rosas feels they need to stay. “If we leave, everybody will forget about what’s happening and it’ll happen again,” Rosas said. Seattle Times staff reporter Ángel González and Community to Community organizer Edgar Franks provided translation for this report.